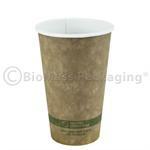 **Discounted Price** Custom printed, Grey, 8-oz Hot Cups with Ingeo Lining. 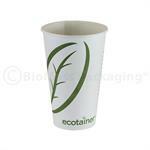 Made from annually renewable, sustainable, plant-based resources these cups are 100% compostable. 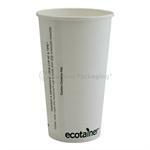 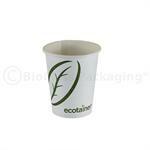 Hot cups by ecotainer are an elemental chlorine-free alternative to polystyrene cups. 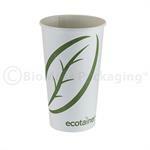 Made from annually renewable resources and a plant-based Ingeo lining. 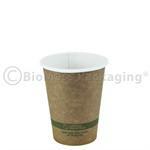 100% compostable*. 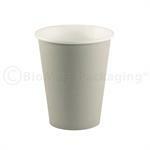 Made to fit 10, 12, 16, 20 and 24-oz. 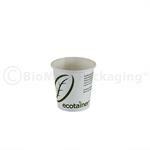 ecotainerÃƒÃ‚Â® hot cups, these nature based, compostable hot cup lids are made from Ingeo a biopolymer derived from annually renewable, plant-based resources. 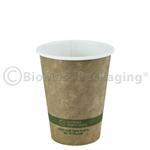 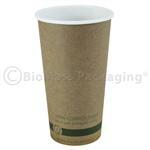 BPI and ASTM D6400 certified 100% compostable*. 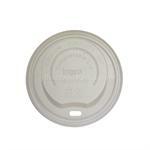 These traditional polystyrene sip lids fit 8-oz. 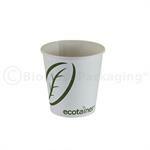 ecotainerÃƒÃ‚Â® hot cups. 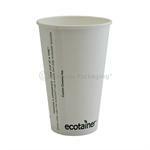 Available in either black or white, they are recyclable in municipalities where polystyrene (#6) is accepted. 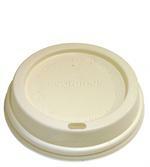 These traditional polystyrene sip lids fit 10, 12, 16, 20 and 24-oz. 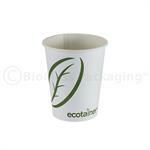 ecotainerÃ‚Â® hot cups. 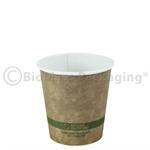 Available in either black or white, they are recyclable in municipalities where polystyrene (#6) is accepted. 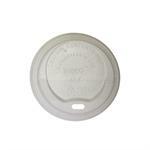 These traditional polystyrene sip lids fit 8-oz. 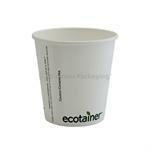 ecotainerÃƒÃƒÃ‚Â® hot cups. 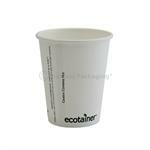 Available in either black or white, they are recyclable in municipalities where polystyrene (#6) is accepted. 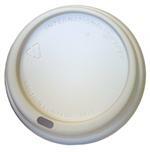 These traditional polystyrene sip lids fit 10, 12, 16, 20 and 24-oz. 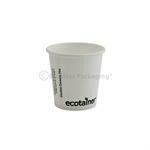 ecotainerÃƒÃƒÃ‚Â® hot cups. 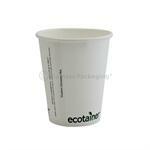 Available in either black or white, they are recyclable in municipalities where polystyrene (#6) is accepted.